A SPECIAL THANK YOU to: Rep. John Wiemann; Sen. Jeannie Riddle; MCPA Lobbyists Mo McCullough & Lynne Schlosser; MCPA Legislative Committee: Dr. Quinn James, Dr. Russ Matthias, Dr. Len Suiter, & Dr. Paul Dupuis, entire MCPA Board of Directors; those that helped testify for this bill: Dr. John McGowan, Dr. Ron Farabaugh, Dr. Ross Mattox; and all others who helped support this bill by donating and/or calling their legislator to help in the success of getting this bill passed. Without you, this would not have been possible! The mission of the Missouri Chiropractic Physicians Association is to advocate for Missouri's chiropractic profession for the health of the public we serve. It takes the support of all the chiropractors in Missouri to move this great profession forward. 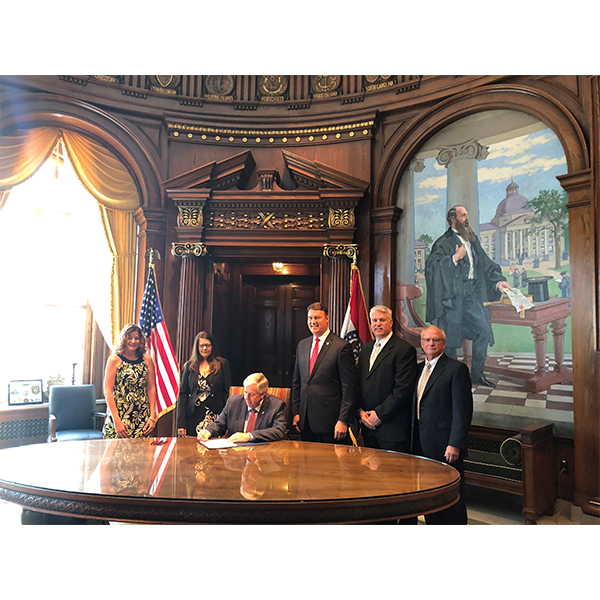 The MCPA works diligently to provide its members with not only the benefits of free summer convention registration, patient referral, legal questions, insurance assistance, discounted seminar options, and more; but it works behind the scenes to improve the legislative and insurance climate in Missouri. Missouri currently has over 2,200 licensed chiropractic physicians across the state. The MCPA offers a convenient search tool to be able to "find-a-doc" near you. Please click the button below to start your search for optimal health through chiropractic today. Over 150 Chiropractic Continuing Education courses approved in Missouri available on your schedule. Click the link below to view course list. U.S. House Bill 344 is a bipartisan bill introduced by Reps. Mike Rogers (R-AL) and Dave Loebsack (D-IA) that would provide career military retirees in TRICARE with access to Chiropractic Physicians and services to address pain management, musculoskeletal disorders, and related ailments. The Senate companion bill is Senate Bill 30 introduced by Sens. Tammy Baldwin (D-WI) and Jerry Moran (R-KS). Currently active duty military has access to cost-effective, Non-Opioid treatment options; however, once they retire or “medically retire” from service, this treatment option is no longer available. The chiropractic profession is working with elected officials on a national level to fix this issue. The Veterans Health Administration (VHA) released evidence-based guidelines on Opioid Safety as a way "to improve patient outcomes, ensure patient safety, and increase efficiency of our community-based services". Click the link below to read the full report, find our how to take the online training, or to learn more about becoming a VHA Provider. The function of the PAC is to raise funds solely for the purpose of campaign contributions for candidates for Missouri political offices who are chiropractic supporters. Without the PAC, the voice of the chiropractic profession in Missouri would be silenced. We depend on your contributions to keep our voices heard at the Missouri Capitol. Please consider joining or donating to PAC today. Any and all donations are greatly appreciated and needed.